Please read our Frequently Asked Questions for answers to general questions. 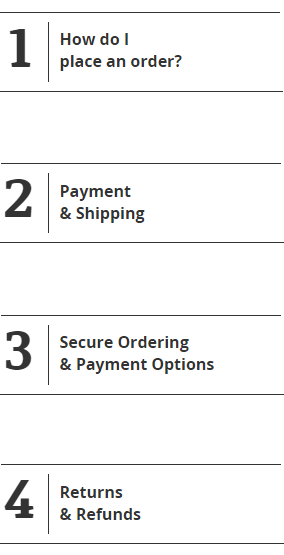 When checking out on nativechild, your card will be charged at the time you confirm your order. If you choose to do an EFT, please send us proof of payment in order that we can initiate delivery. Once your order is placed, we are unable to accommodate order changes or address corrections. Please review your shipping information carefully before finalizing your order. We are not responsible for incorrectly submitted addresses in orders. All our products can be returned within 14 days of purchase provided the product is un-used and or / has not be opened. Only once it is received in good order will a refund be issued. nativechild accepts Visa, MasterCard, and a direct bank transfer. We do not accept personal checks, money orders, or international credit cards. We are currently unable to process any credit cards that are billed to an address outside South Africa.